Where Did Prostitutes and Drug Addicts Hang Out? The answer was St Kilda’s Beach – well, at least in the past. 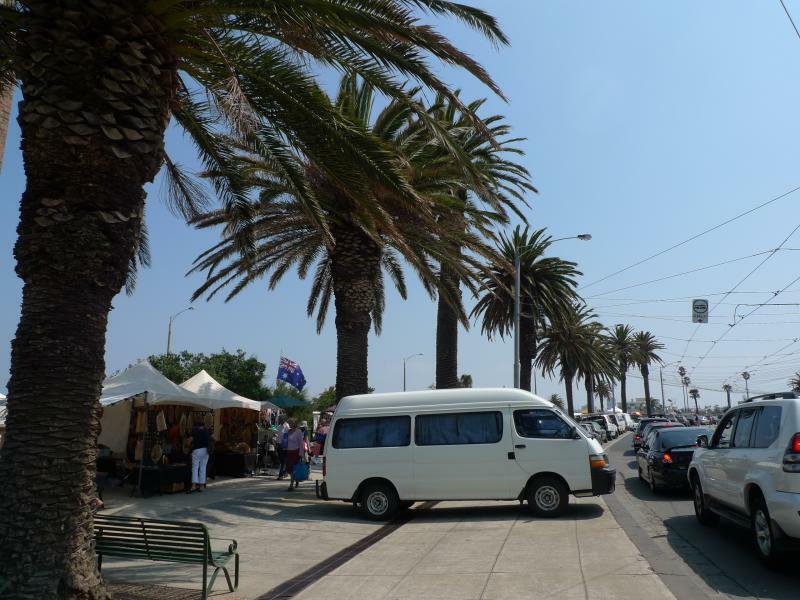 After many years of gentrification, the bayside resort area just south of Melbourne city has become a fashionable and swanky beach neighbourhood, attracting families, singles, seniors and anybody who wanted to spend a day at the beach. Other than the beach, the precinct also had a nice F&B and shopping belt along Acland Street, and a nifty little theme park (Luna Park). In a spirit of wanderlust, I decided to check it out last Sunday morning and bought a Sunday Saver tram pass (which cost AUD 3.10) and decided to explore this destination at the City of Port Philip. 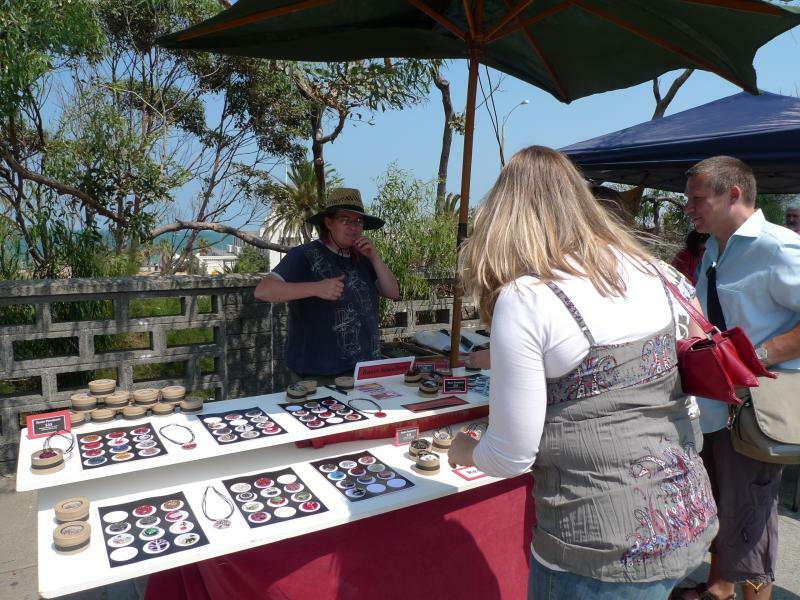 Palm-lined roads greeted one along the ocean front, with festive carnival stalls on a Sunday peddling art souvenirs, T-shirts, and other wares. One of the reasons why I like Melbourne so far is because of its well manicured parks and gardens. In a way, the city is similar to Singapore, albeit with more stretches of greenery co-existing harmoniously with the concrete jungle. Coupled with the cool and dry weather, they make excellent locations for sport – lots of people run and cycle all hours of the day – having a picnic, having a snooze, or just reading a book or chilling with friends. Being an outdoor person myself, I had to discover these parks and ventured on a very long walk today. 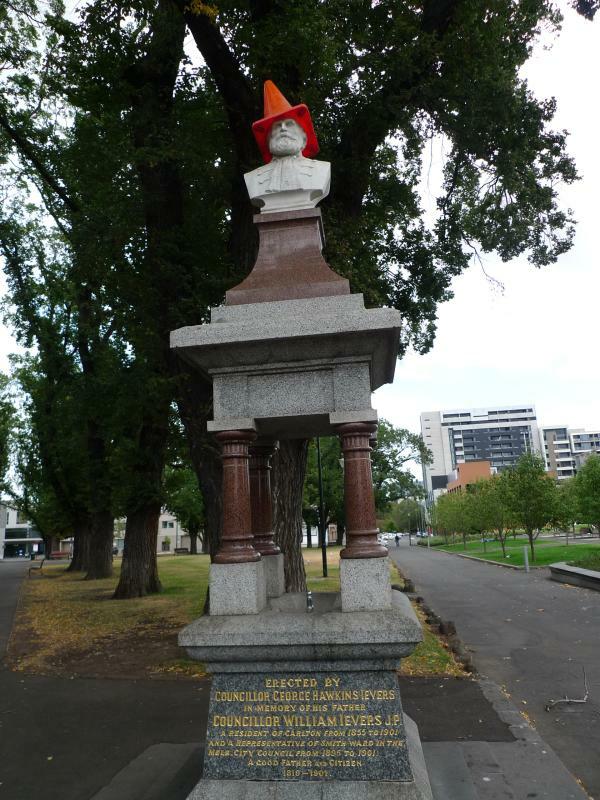 One of the first landmarks I saw on my walk through Victoria Street was this rather humorous though irreverent treatment of a former VIP of the city at a public park! Today, I finally stepped into my campus officially for the first time as part of a series of briefings for international students. The briefings on what to look out for plus the dos and don’ts of varsity life was useful, although some of the points seemed more suited for primary school kids. 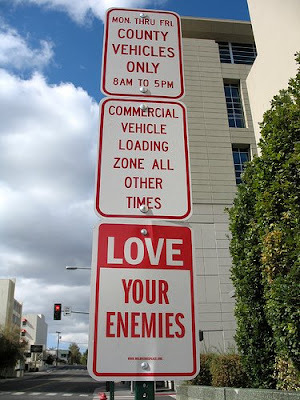 Like the fact that you should look left and right before crossing the road, or that you should not talk to strangers etc. After the briefings, we were treated to a BBQ lunch by the Graduate Student Association of the university which was highly popular as you can see below. The only thing is that lunch wasn’t really barbecued meat, but more of a hamburger with either a lamb hotdog or a vegetarian burger patty! Day two of my stay in Melbourne was full of largely administrative chores like opening a bank account (I chose Commonwealth Bank, which has more ATM outlets around the city), getting an Australian mobile line (Opted for 3, which is the most affordable option here), and purchasing other household items like detergent and food containers. 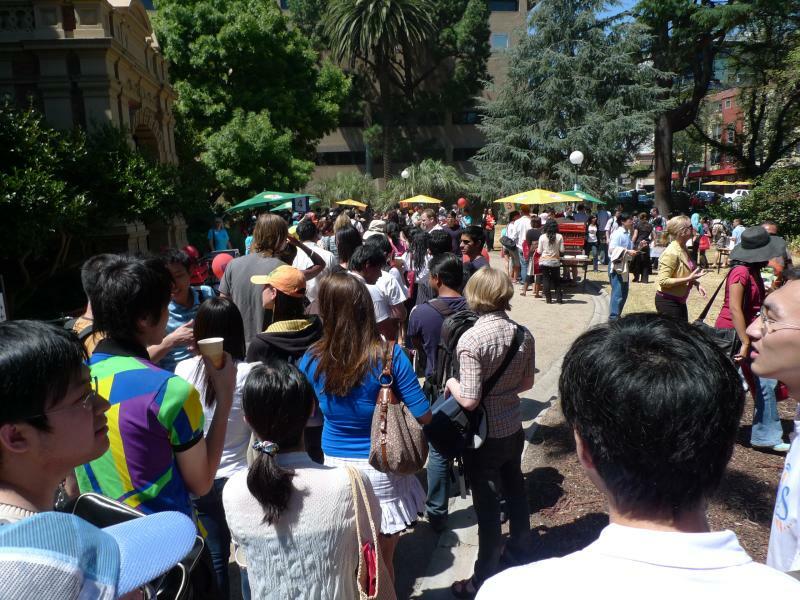 I also took the opportunity to walk around the campus of the University of Melbourne to understand what’s available there and where the various buildings are located. Sprawled across a vast compound at Parkville, which is just slightly north of the Melbourne CBD area, the University of Melbourne is Australia’s second oldest university which is established way back in 1852. 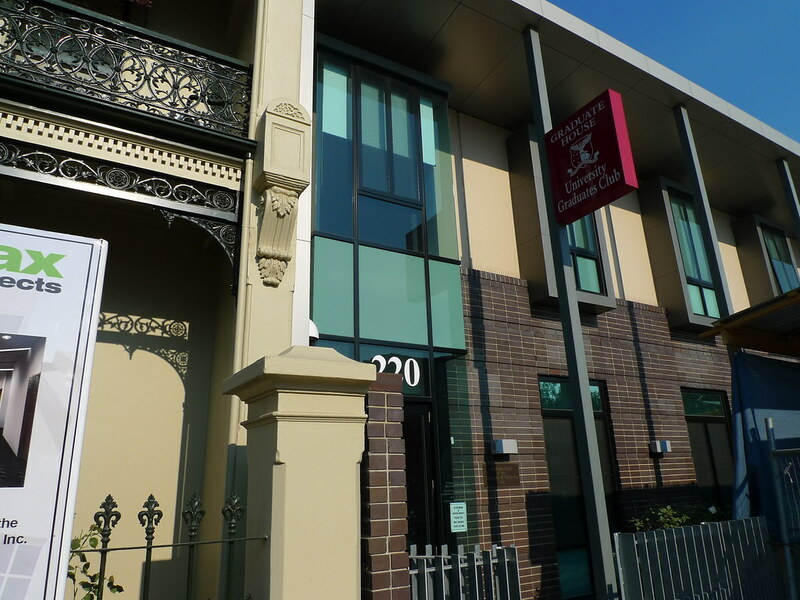 It is considered one of the top universities in Australia for certain fields like law, arts, humanities and engineering. Because of its rich history, the buildings within the campus are an eclectic mix of old period architecture with distinctly European influence interspersed with newer more contemporary buildings. 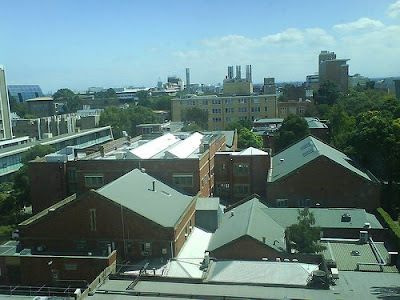 After a pretty uneventful flight from Singapore to Melbourne – save for the need to switch seats at the inflight entertainment wasn’t working in my original place – I finally touched down in this beautiful city in the state of Victoria commencing my life as a student. What’s on the news was pretty much the raging bush fires and their aftermath in terms of loss of life and livelihoods for many Australians. Thankfully, the effects weren’t that severe here save for a slight haze and a parched and brown appearance throughout the city. Here’s some photos of my first day in Melbourne. I am staying at the Graduate House of the University of Melbourne, which is a pretty decent place with adequate facilities for most of my needs. Food is great and its interesting to meet people from various nationalities around the world. One of the most important skills needed to propel one’s efforts in social media is the age-old act of relationship building. To move any social media outreach, blogger relations or online evangelism effort through the long haul, one needs to have a group of believers, and to put in extra effort to build relationships with fellow digital denizens. Just having a great blog or a nifty social media application isn’t enough if people don’t care enough about you or your organisation to want to be a part of the action. You need to invest in winning their trust and often their friendships too. 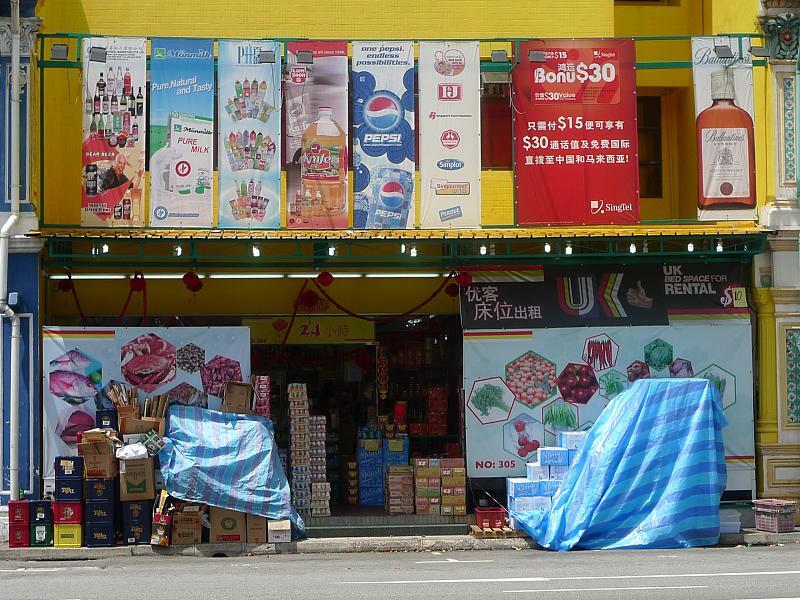 I spotted this heavily branded and bedecked convenience store recently while strolling along a street in Singapore. What struck me was not just the number of brands being placaded, but the fact that they are offering “UK Bed Space for Rent” at only “$10”. PS – This shop obviously isn’t located along Orchard Road. Want to find out how to have fun despite the recession? Or to carry on living your daily lives despite the impending austere times ahead? Here are some tips from my family, complete with photographs. In slightly over three weeks, I will be flying off to Melbourne to continue my education. 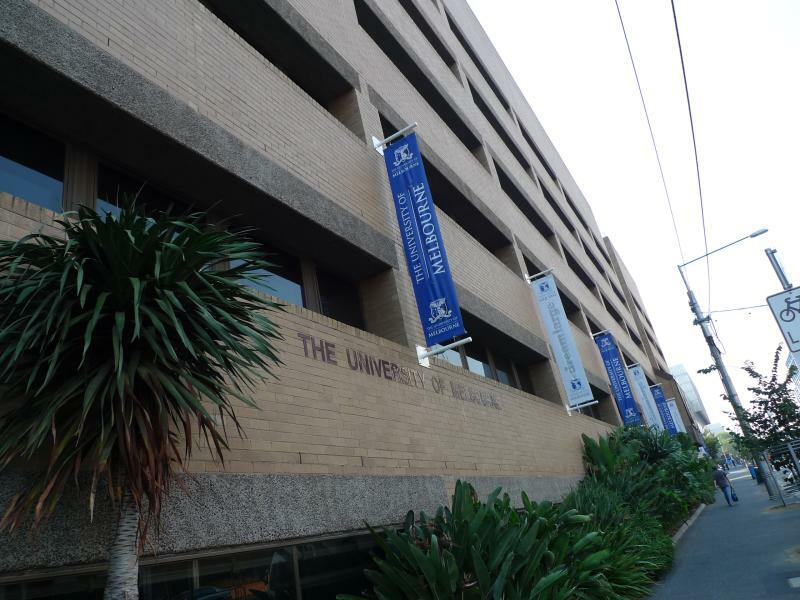 I will be reading a Masters in Arts Management at the University of Melbourne, specialising in modules related to art history, museum history and philosophy as well as audience development, finance, strategic planning, organisational management and cultural policy. This has been made possible through a scholarship courtesy of my organisation, which comes with a three-year bond. Looking at the financial situation as it is, it may not be that bad a deal although it did take me some time to mull over it. 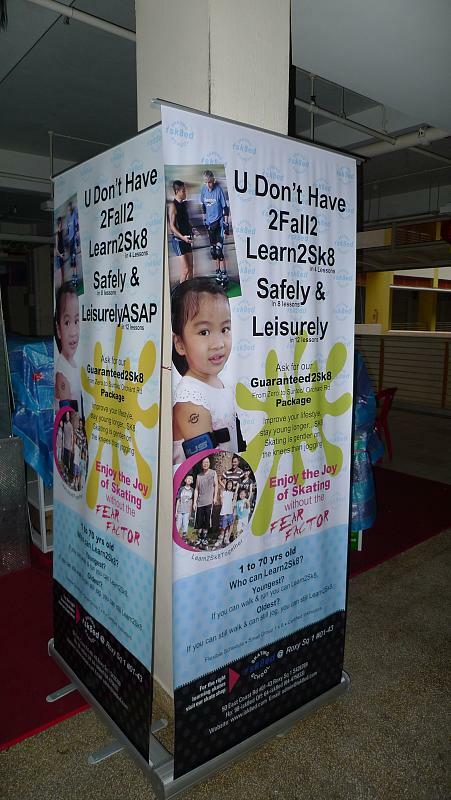 Spotted this standee somewhere at People’s Park Complex recently. I wonder how the English teacher of the guy/girl who has copywritten this must feel. If you are a potential customer of this business – which is a possibility since the advertisement proclaims that anybody from 1 to 70 can be their client – would you be convinced by this advertising message?